Since May of 2002, the first Saturday in May is designated “Free Comic Book Day” as a way to reach out to those individuals like me, unfamiliar with the comic book specialty market, not to mention a comic book shop. As the name implies, Free Comic Book Day is a single day when participating comic book specialty shops across North America and around the world give away comic books absolutely free to anyone who comes into their shops. Ralph’s Comics and Paperback’s Plus Shop is one of the participating stores and he’ll be handing out FREE comic books from noon to 9:00 pm, Saturday, May 1st!! 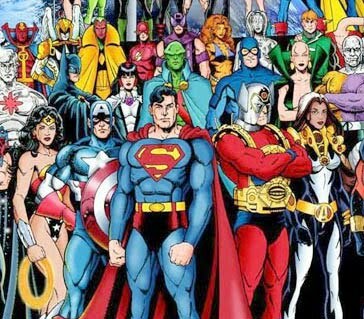 So in addition to celebrating “Kentucky Derby” or “May Day” on May 1st, I invite you all to embrace “Free Comic Book Day” as well, either by coming to downtown Ephrata, or by checking out a shop closer to home. What a great way to be introduced to this original American art form, and possibly become an enthusiast / collector yourself (no leaping over buildings required…)!